Terrazzo is one of the oldest flooring systems, dating back over 1500 years. It was actually the original recycled floor as quarry chips and metal chips were used in this construction. 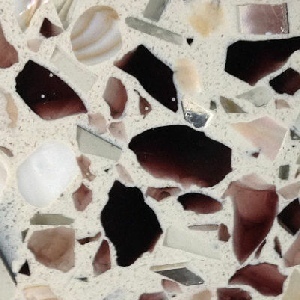 Terrazzo was invented by construction workers in Venice as a low cost flooring material for their own homes. 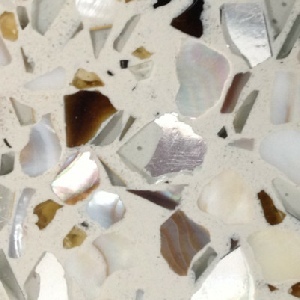 The marble chips used were scraps from upscale jobs which the workers would usually set in clay to surface their patios. 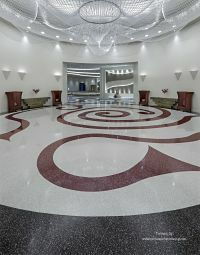 Starting out with what it is basically either a concrete, cement or an epoxy matrix that traditionally has marble or other stone aggregates mixed in (but as of late we are seeing more and more use of glass, metal and shells) a micro-cement is created, trowelled down, ground flat and polished. 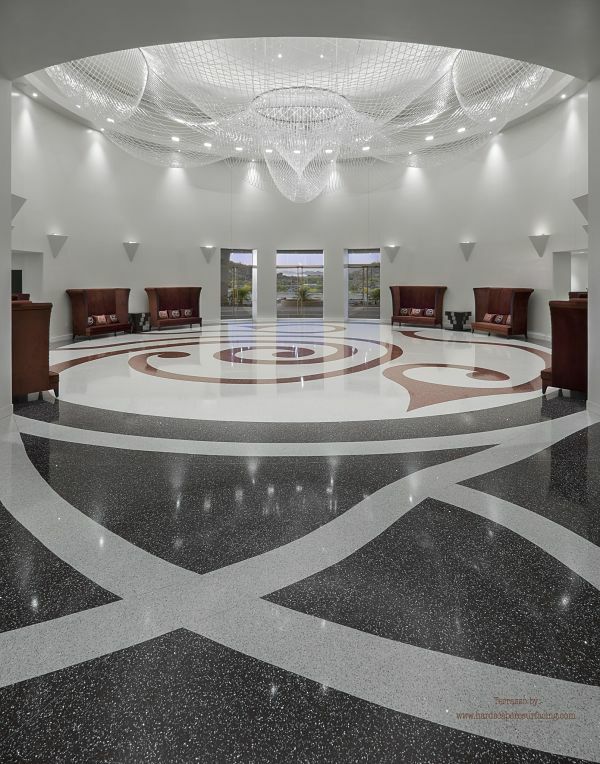 The benefit of Terrazzo - for the most part - is one its cost effectiveness. 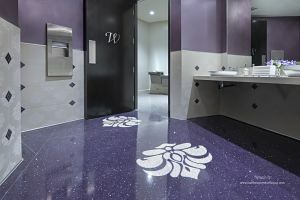 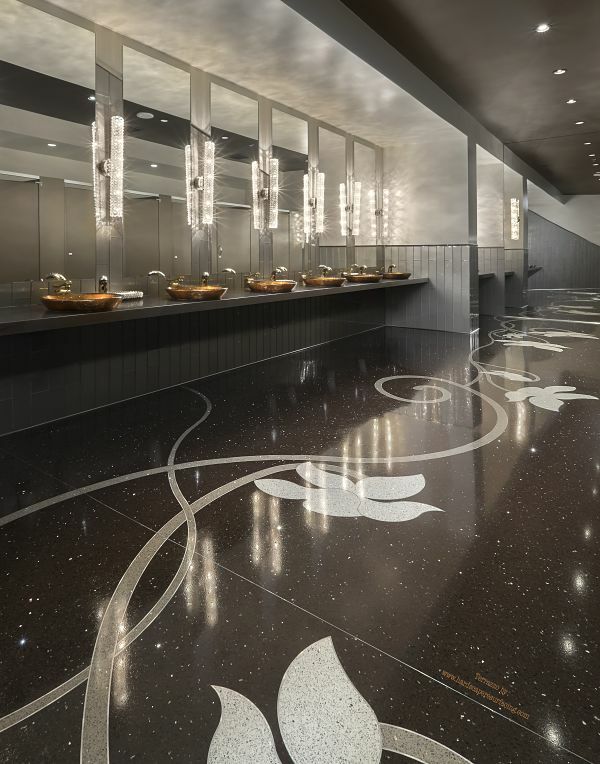 Even though the initial installation may be higher than a lot of other options, Terrazzo is often times called the “lifetime floor” as it generally will outlast the building that it is in and should never need to be replaced. 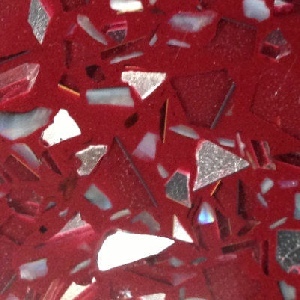 You have a full range of architectural design limited only by the imagination of the designer with use of metal inlays, the wide selection of aggregate colors and styles and unlimited matrix colors. 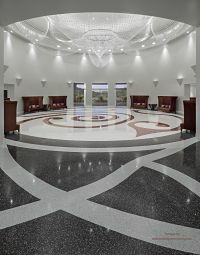 Each floor is a custom, unique project in and of itself. 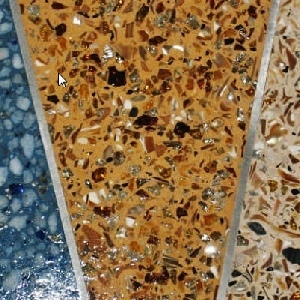 We do several different types of Terrazzo at HardScape. 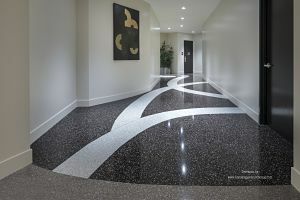 One is Thin-set Terrazzo which is typically 1/4 or 3/8 inch thick. 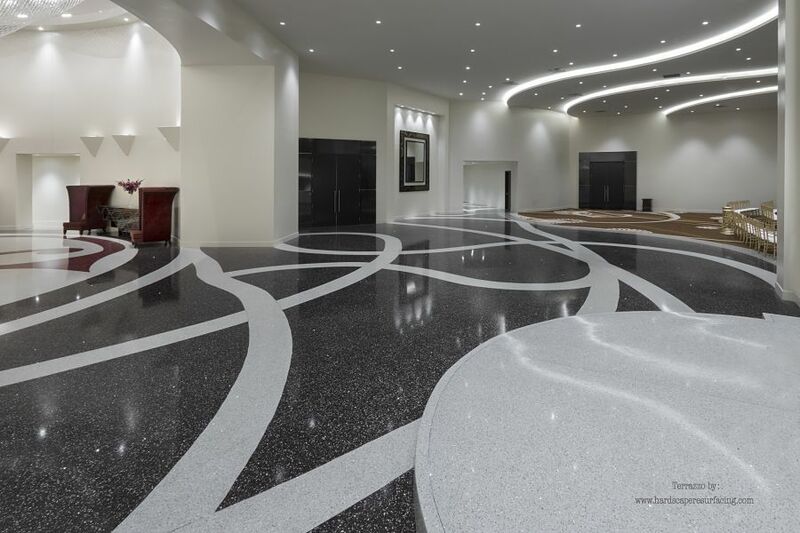 It is either an epoxy or cement based matrix with a blend of marble, metal, glass or whatever aggregates are selected which is trowelled down over an existing concrete substrate, ground and polished. 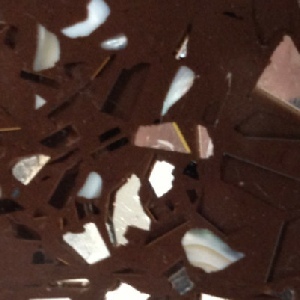 This is probably the most common application. 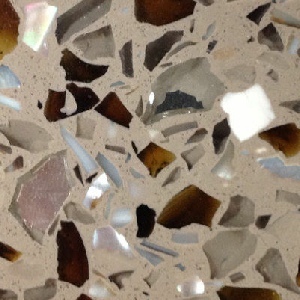 Another option would be Rustic Terrazzo. Rustic Terrazzo is a cement-based blend of aggregates and is trowelled down on existing concrete slabs and then washed to create a textured surface. 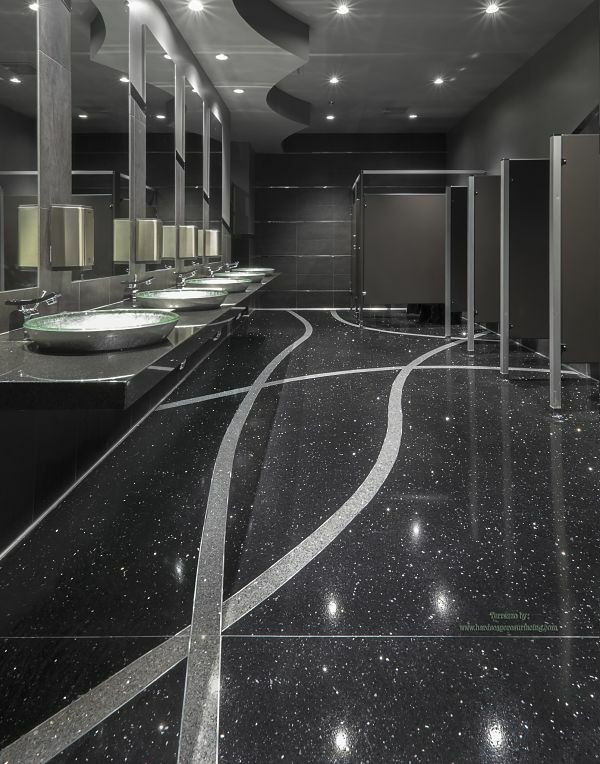 This is most often done on exteriors where optimal slip resistance is needed and a contrast to the polished surface is desirable. Thirdly we have Structural Terrazzo which is actually a “poured in place” concrete where the marble and/or custom blended aggregates, which are seeded into the plastic cement, work down into the surface and then later are ground and polished. 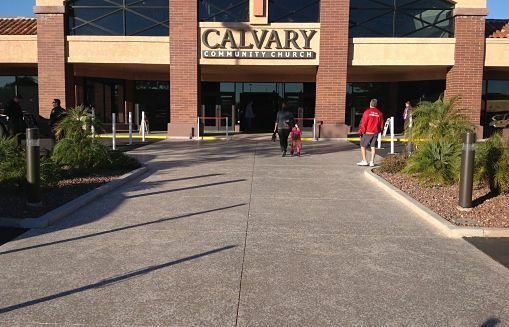 This is an ideal solution for vehicle traffic, Porte-cochère and hotels. 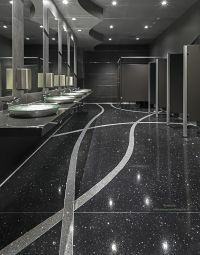 It’s also a great consideration when concrete is being poured and you want to create a desired upgraded finish in one stroke of the wand.